How to watch Bridget Jones: The Edge of Reason (2004) on Netflix Argentina! Sorry, Bridget Jones: The Edge of Reason is not available on Argentine Netflix, but you can unlock it right now in Argentina and start watching! With a few simple steps you can change your Netflix region to a country like India and start watching Indian Netflix, which includes Bridget Jones: The Edge of Reason. We'll keep checking Netflix Argentina for Bridget Jones: The Edge of Reason, and this page will be updated with any changes. 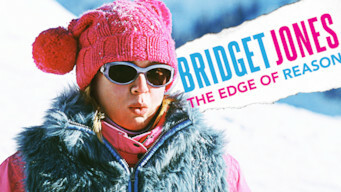 Bridget Jones: The Edge of Reason is not available in Argentina BUT it can be unlocked and viewed! This sequel to the hit movie begins with the formerly single Bridget discovering that life with her new beau isn't everything it's cracked up to be. Instead of romance, her new relationship is full of second-guessing. Her long search for love may not be over after all. There is a way to watch Bridget Jones: The Edge of Reason in Argentina, even though it isn't currently available on Netflix locally. What you need is a system that lets you change your Netflix country. With a few simple steps you can be watching Bridget Jones: The Edge of Reason and thousands of other titles! Watch "Bridget Jones: The Edge of Reason"